November 20th to 21st – Leicester, Generations of Protest Conference December 11th – Berlin, Institute for Protest and Social Movement Studies in collaboration with Rosa Luxemburg Foundation @ Franz-Mehring-Platz 1, 19.00h. Available at local indie booksellers and for online order order in the UK & in the US. To host a Protest Camps event, explore possibilities for collaboration, or co-design a workshop with us, get in touch! From Tahrir Square to Occupy, from the Red Shirts in Thailand to the Teachers in Oaxaca, protest camps are a highly visible feature of social movements’ activism across the world. They are spaces where people come together to imagine alternative worlds and articulate contentious politics, often in confrontation with the state. 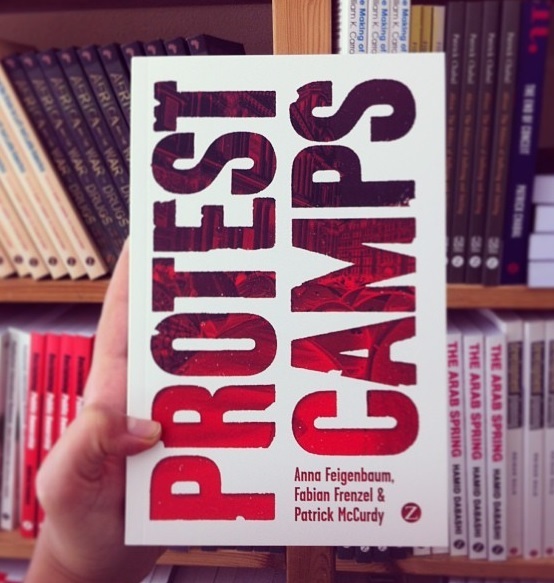 Drawing on over 50 different protest camps from around the world over the past 50 years, this book offers a ground-breaking and detailed investigation into protest camps from a global perspective – a story that, until now, has remained untold. Taking the reader on a journey across different cultural, political and geographical landscapes of protest, and drawing on a wealth of original interview material, the authors demonstrate that protest camps are unique spaces in which activists can enact radical and often experiential forms of democratic politics. -Sasha Roseneil, author of Disarming Patriarchy: feminism and political action at Greenham, Professor of Sociology and Social Theory, Birkbeck University of London. -John Jordan, artist, activist and co-founder of the direct action protest movement ‘Reclaim the Streets’. This entry was posted in protest camps. Bookmark the permalink.